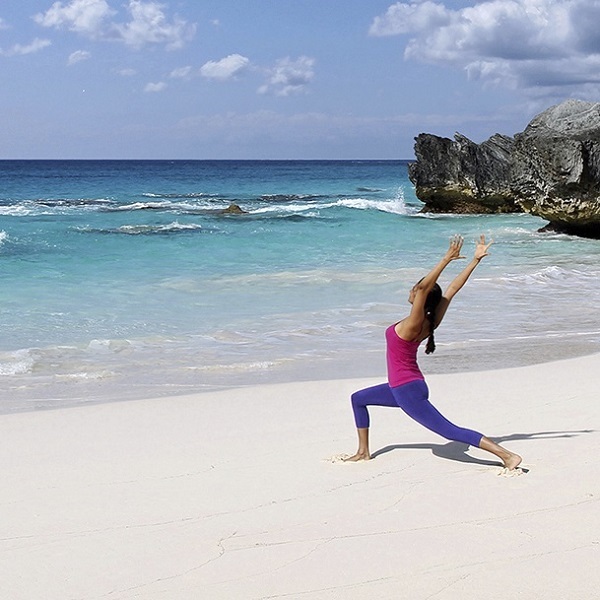 A first-of-its-kind Bermuda Yoga Festival — featuring 11 international yoga teachers and kirtan musicians — is slated for April 3 – 6, 2014 and is hoping to draw participants from the US, Canada and UK for the 4-day event. 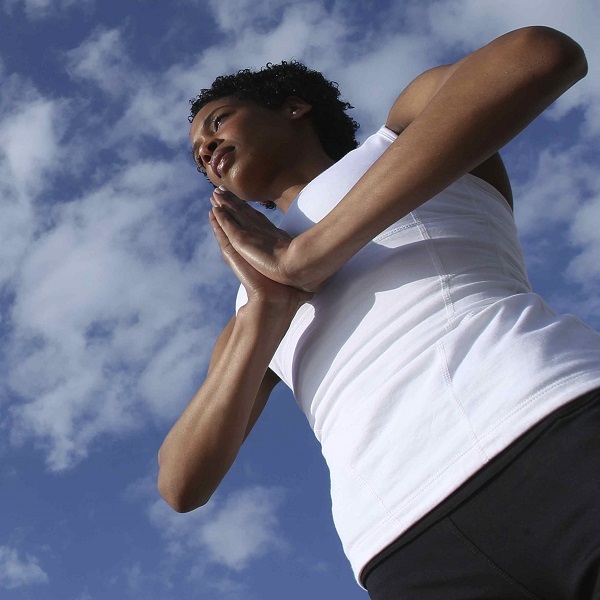 An estimated 20 million people practice yoga in the US and it is a constantly growing interest worldwide. The Bermuda Department of Tourism sponsored the Bermuda Yoga Festival to develop the niche in Bermuda, with yoga festivals and retreat holidays forming an increasing tourism sector globally. Already a year in the making, local yoga teachers have worked to establish the Bermuda Yoga Festival as a high-ranking event in the international yoga festival circuit. Local yogis are encouraged to attend and there is plenty on offer for those who have not yet tried yoga. Beginner classes, advanced workshops, wisdom talks, music and chanting are scheduled. The lineup of international presenters includes Elena Brower, Faith Hunter, Kia Miller, Beryl Bender Birch, Swami Asokananda, Camella Nair, Sue Elkind, David Newman [Durga Das], C.C. White, Nischala Joy Devi and Rusty Wells. Local wellness teachers will also feature throughout. The Fairmont Southampton is a primary partner, providing the ideal venue. Fairmont Southampton festival room bookings made before November 30 will enter a draw to win up to 4 free nights during the festival. Locals are encouraged to buy tickets now to avoid disappointment before the upcoming wave of publicity to U.S yoga studios and mass-market yoga magazines. The cost of the Full Festival Pass is $395, with a $100 discount on the full price, if purchased this month. Day Passes are also available. A Group Rate for overseas certified yoga teachers and studios is available, buy 10, get one free. Tickets on sale online. Contact bdayogafest@gmail.com for more information or visit their website or BermudaYogaFestival on Facebook. As an accomplished adept of Hinduism and the Holy Yogic doctrine it teaches, I can say with 100% assurity that this form of “yoga” which typically women tend to do as a form of exercise, is a complete INSULT, BASTARDIZATION, and BLASPHEMY towards the Holy Religion which actual Yoga is. In REAL Yoga, Body postures (Asanas) are what is taught to NEOPHYTES (beginners) in order to inadvertedly train them how to achieve the higher levels of yogic achievement. Postures are so low on the ladder of achievement they are literally the bottom few rungs. Postures and mudras are not practiced or taught by the actual YOGIS, unless to a newbie who knows nothing. It is pathetic that this “New-Age”/”Western” system of FAKE Yoga has plagued the earth. You have to study and master Hinduism and its philosphy and metaphysics, before you can even ATTEMPT to learn real yoga. If you do not know who Atman is, Brahman is, and Mahavishnu is, you are NOT A YOGI nor are you even on the start of the path! Yoga MEANS “Union” and it signifies you becoming one with God, and achieving superhuman and paranormal abilities. It is NOT exercise and vanity. If anyone wants to learn REAL Yoga, I will teach them. Yoga can only be taught by a GURU, whom is a Yogi. GURU means “removes darkness”. If your Guru cannot teleport or appear in two places at once, he is not a Guru. A Guru is capable of superhuman feats, and is of a divine status. A Yogi has the option of becoming a Guru. Hindu Yogis can levitate, raise the dead, be buried alive for months with no air, can sleep on beds of fire, can ride on the backs of wild tigers, and much more. Does your “Yoga Teacher” teach you this? Do they even KNOW these facts? I bet you not. A true Guru teaches that Union with God is the highest achievement, and that all human life and society must be abstained from with severe discipline. It just makes me sick seeing this bastardization of the real and ANCIENT YOGA which is thousands of years old, unchanged for millenia. Until the West got hold of it and totally utterly destroyed its meaning. Didn’t you know that half of the planet, literally billions of people, know the real yoga and how holy it is, and they all look at the Western ‘Yoga’ as a complete utter pathetic joke worthy of being spit upon. Wanna learn Yoga, learn the REAL Yoga. Yogic texts state how it can take decades to achieve yogic abilities. Not hour sessions on a yoga mat in your yoga pants. Yogis by law of scripture must be NAKED all the time, with only a loincloth or ash to cover their bodies. Enough for now. God bless you all with enlightenment. You cannot, nor do you know anybody that can levitate, raise the dead, be buried alive for months, or sleep on beds of fire. If you can continue to insult our intelligence with these ridiculous claims, people should be able to continue to practice any form of bastardized yoga they like without you screaming like a fanatic. You may however know somebody that rides on the backs of tigers. There truly are some sick bies out there. That is a pretty strong comment. As a yoga teacher I take offence as you should be glad that people are even scratching the surface of what you believe given the ‘non belief’ and barbaric practices in the world. Maybe you need to get over the women in their pants and look at the bigger picture.